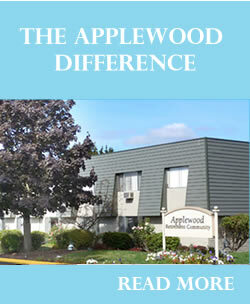 Applewood offers 69 studio and one bedroom private apartments for seniors who want to remain their independence, but who want less stress in their retirement or perhaps need a little help. 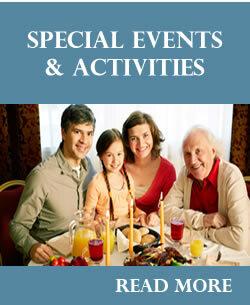 Applewood Retirement Community is located in Oregon’s capital city of Salem. It offers 69 studio and one bedroom private apartments for seniors who want to remain their independence, but who want less stress in their retirement or perhaps need a little help. Residents at Applewood enjoy a life style that promotes continued independence and offers more freedom for seniors to enjoy the things they like to do rather than trying to maintain a home, an automobile, or any other burden associated with living on one’s own. At Applewood, our residents enjoy the spa and beauty salon services, well-stocked library, recreational rooms, card/puzzle rooms, and living rooms – complete with big screen televisions. Our dining services feature scratch made meals with a menu of alternate entrées to choose from. Our chef’s take pride in every meal that’s served. 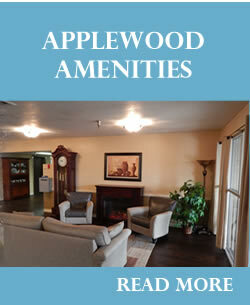 Living at Applewood is a great experience! 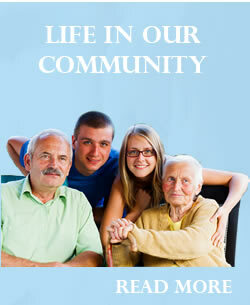 We’re not just an independent living center; we’re a community where all residents are treated with respect and love. 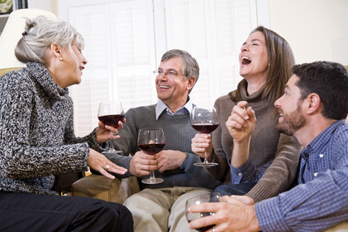 Our community welcomes your family and friends to visit as often as they would like. We are pet friendly too, and realize that our furry and feathered friends are part of your family. We have residents who have come from all over the Willamette valley, Keizer, Gervais, Woodburn, Hubbard, Mt. Angel, Silverton, Mill City, Stayton, Sublimity, Independence, and McMinnville just to name a few. We are here to serve you with kindness and respect. Contact us to arrange a tour. Once you move in, you’ll never regret it.